The five panels were installed to replace a hedge and inter planted with shrubs. 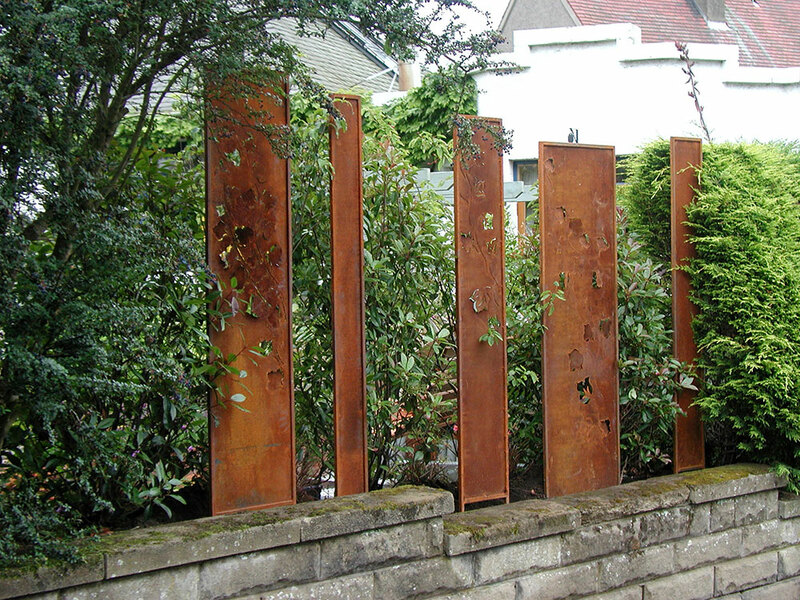 Each panel has leaves cut into the surface which are folded in and out, mingling with the leaves of the surrounding planting. This ‘fence’ allows passer-by to get glimpses of the garden and the ‘cut-out peep holes’ are particularly popular with children.